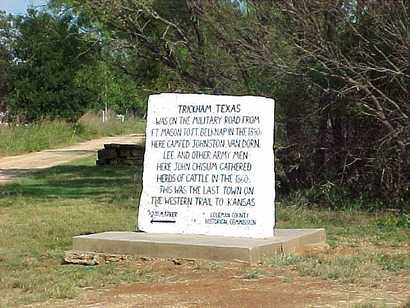 Trickham, TX ghost town history, historic cemetery, markers, landmarks, photos. 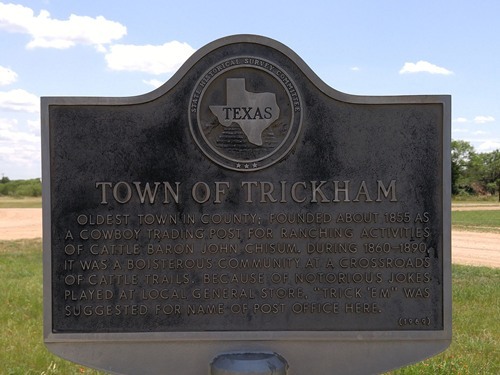 If you believe the story about how Trickham got its name, then this town was a pioneer in "truth in advertising." Store owner Bill Franks (never trust a man with two first names) used to sell whiskey to cowboys that was actually water from Mukewater Creek. This was before the concept of repeat customers evolved. 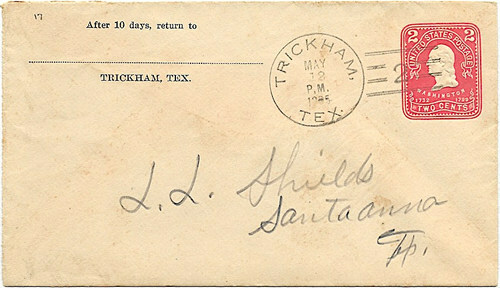 Mr. Franks was also the one who applied for the Post Office (established 1879) and so his request was for Trickham (Trick 'em). Humor along the lines of Dewey, Cheatham and Howe Attorneys at Law. 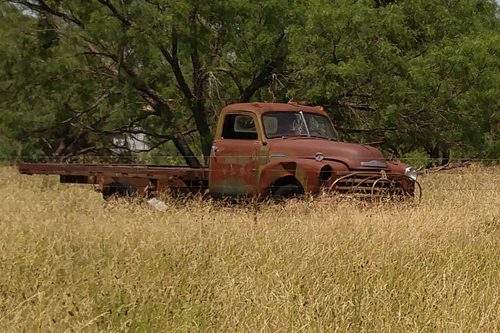 Tyro, Texas (also Coleman Co.) probably heard the story and when their post office shut down in 1881 and they needed a name for it to reopen in 1884 they submitted Novice because of the store owner's inexperience. 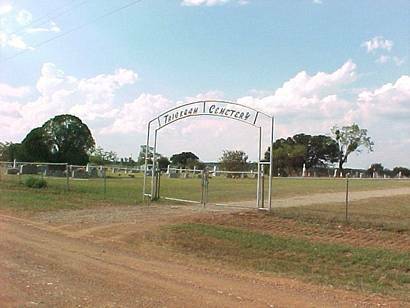 The Historical Marker states that the town was a "trading post for ranching activities of Cattle Baron John Chisum." Through the years, Trickham has had good times and bad, and the population has risen and fallen accordingly. The 1970s were particularly bad, for that was the decade Trickham lost their gas station, general store and post office. The reported population was 12 in 1970 and that's where it remains today. 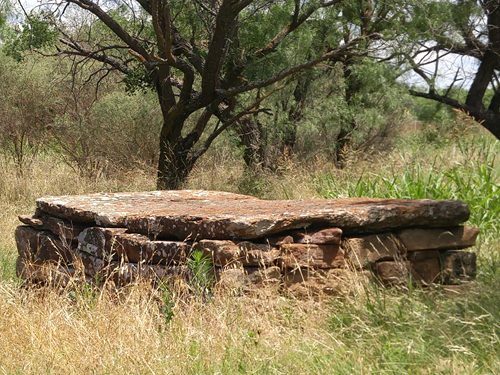 There might be some health benefits from that water from Mukewater Creek after all. Then the joke would be on Mr. Franks. 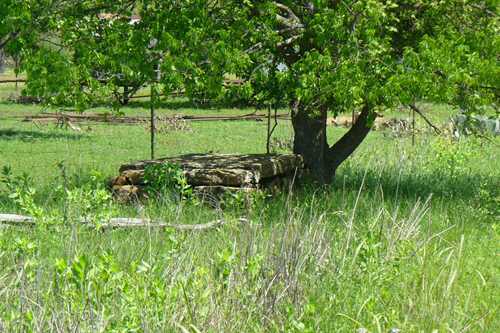 Oldest town in county; founded about 1855 as a cowboy trading post for ranching activities of cattle baron John Chisum. 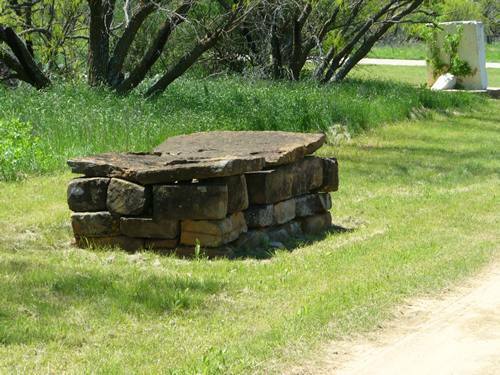 During 1860-1890, it was a boisterous community at a crossroads of cattle trails. 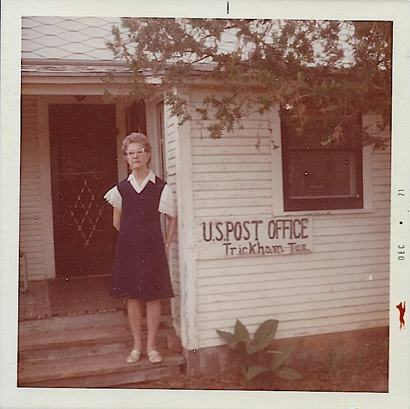 Because of notorious jokes played at local general store, "Trick'em" was suggested for name of post office here. 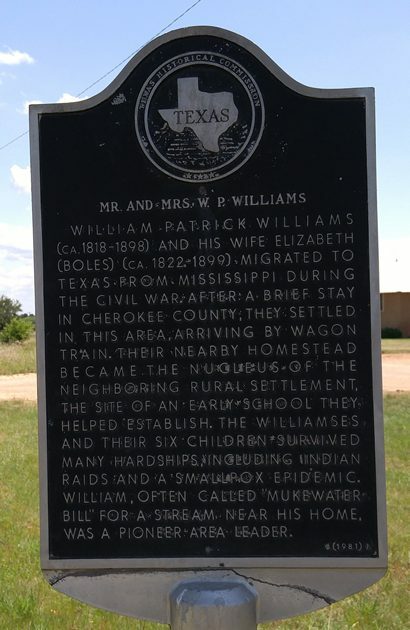 "The old community of Trickham was the first community in Coleman County to be settled, though today it might be hard for an outside observer to understand why. 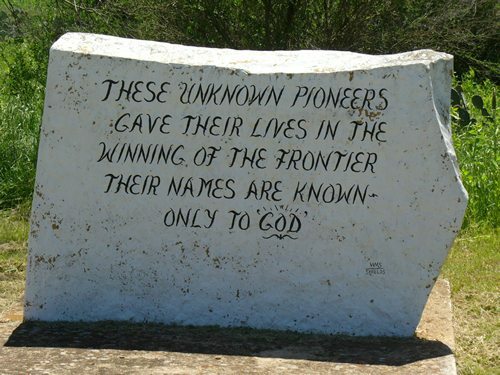 The U.S. Army chose the patch of land on Mukewater Creek as the site of Camp Colorado in the 1850s but the camp lasted less than a year at that location. 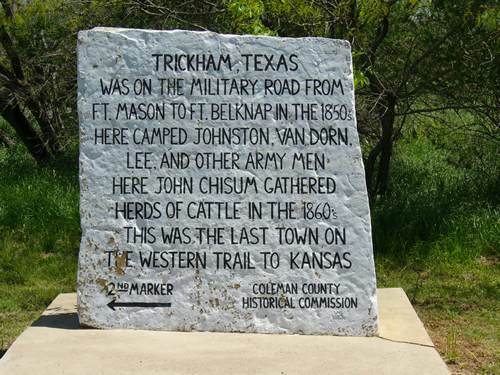 .... Chisum never lived at Trickham. 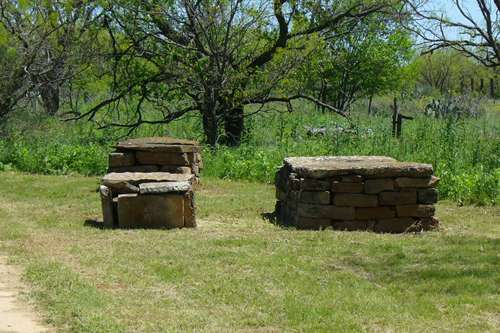 His ranch�s headquarters were on Home Creek a few miles away. He sold the store in 1874 to L.L. 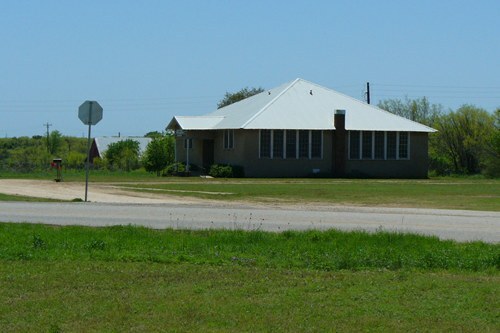 Shield who added on to Chisum�s original store and turned it into a true community store for a growing population. 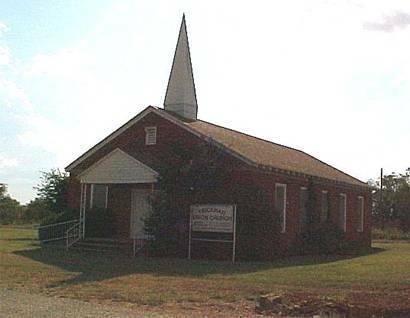 "Don't know that we have ever seen a Church quite like the Trickham Union Church. 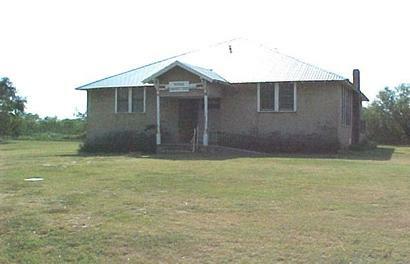 Union Church Sunday School Every Sunday"